Sometimes Things Just Click. Our company began with a search for perfection and a desire to eliminate unknown variables from the brewing process, which led us to develop the ESPRO Calibrated Tamper, our very first product and patent. 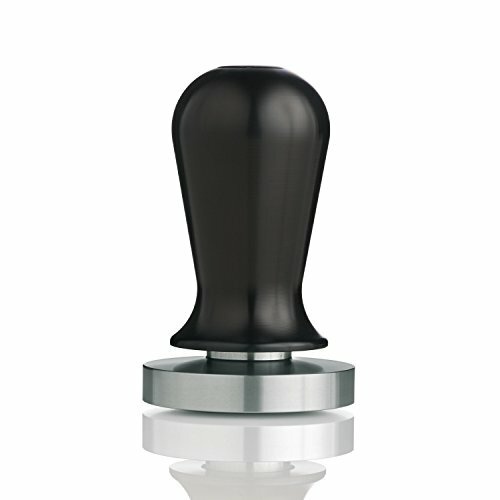 The Tamper replaces guesswork with precision by delivering an exact 30 pounds of force with a reassuring click every time. Water will always seek the path of least resistance. ESPRO’s Calibrated Tamper ensures that all the grounds are compressed uniformly and consistently, creating perfectly even resistance against water pressure and ensuring full saturation. By eliminating variations in tamping force, we’ve made it possible to ensure consistent espresso from barista to barista, hour to hour, day to day, with only the need for a simple grinder adjustment. We designed the tamper with a stainless steel base and an anodized aluminum handle for durability, and it’s available in a variety of sizes with both flat and convex bases.